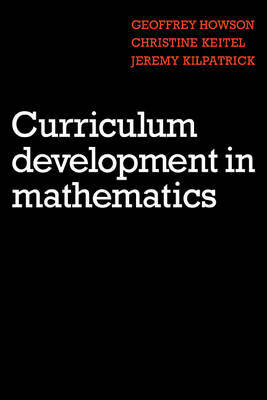 In the mid- 1970s the curriculum development boom in mathematics was to end almost as rapidly as it had begun. In this book the authors, who come from countries with differing educational traditions and patterns, consider these developments in their historical, social and educational context. They give not only a descriptive account of developmental work in a variety of countries, its aims and the patterns of management utilised, but also attempt to identify trends and characteristics and thus provide a theoretical base for criticism and analysis. The reader will find numerous case studies, including extracts from such renowned authors as Bruner, Dieudonne and Piaget.